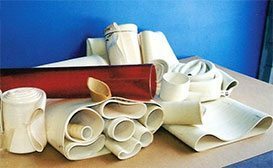 AFF supplies integral rubber & polyurethane connection sleeves that are utilized in a wide range of industries. 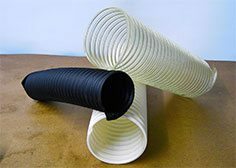 AFF’s gum rubber tubing provides excellent abrasion resistance as a transfer chute for delivery of either dry powder cement or slurry. The tan tubing is available in a wide range of diameters, wall thicknesses, and lengths. AFF’s clear polyurethane seamless tubing offers outstanding abrasion resistance, full view of the product as well as excellent static-dissipation.